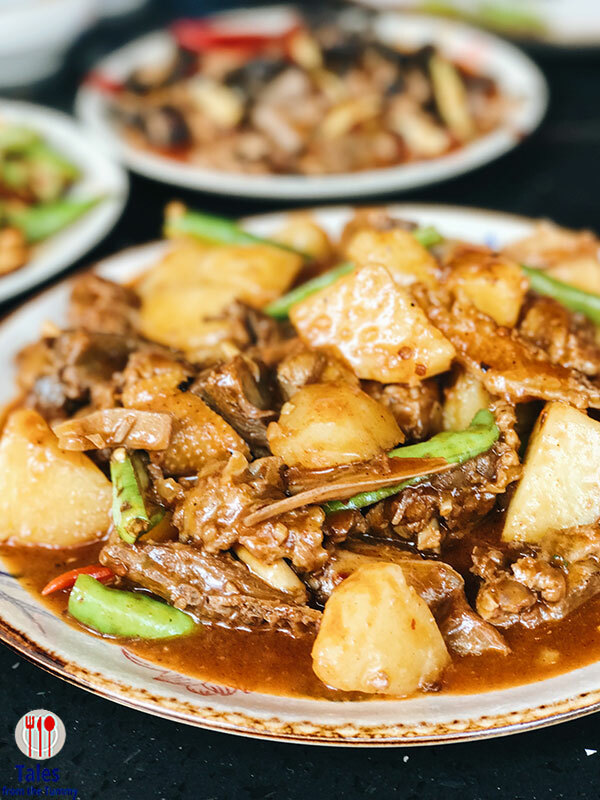 Chuan Xiang Restaurant specializes in Sichuan cuisine so you know it’s on the spicy side. We’ve seen the place many times while passing through Makati Ave and eventually got curious enough to try it. The 2nd time we wanted to go back we found out it was closed, further sleuthing made us realize they were renovating. The door way above is the renovated look, with strings of peppers on the door so you know what you are in for. There’s now a 2nd floor, I was not able to look around as we were seated on the ground floor. Decor has more Oriental touches compared to sparse look of the place before. They have a fairly extensive menu from soups, appetizers to main dishes. All items have a rating of 0-5 indicating how spicy each one is with 5 being the burn off your tongue hot. We kept our choices from 0-2 only. There’s a Chinese manager as well as a Chinese chef but staff is Filipino and menu has English names albeit some translations are a bit off. 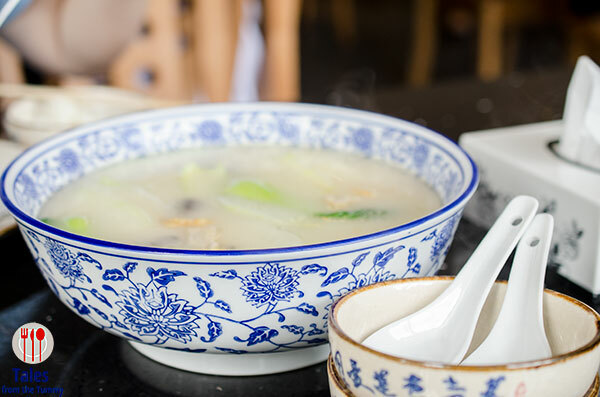 ChuanXiang Flavour Pork Soup (P320). 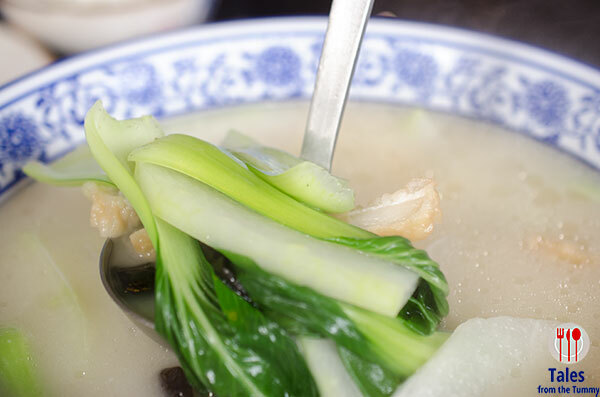 A light clear soup with pork rib slices and fresh vegetables. Refreshing and tasty with the ribs debones and sliced. The serving can be shared among 6 people. Twice Cooked Pork Slices with Dried Tofu (P280). We loved this on our first visit so we had to order it again. Pork belly slices, slightly toasted, stir-fried with sliced dried tofu and peppers. Crushed szechuan peppercorns are added to give off a bright aroma. 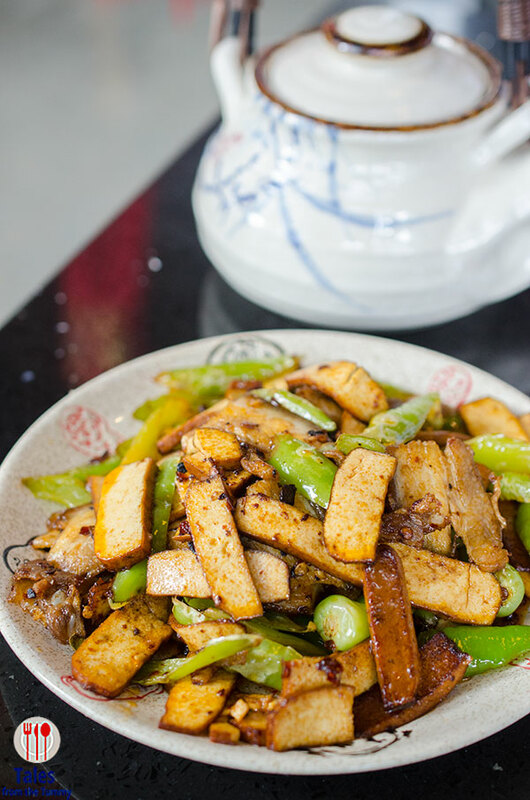 Spiciness is tolerable for us, even the green pepper slices are not too spicy. Fried Pork Livers and Kidney (P280). Kidney might be the only offal I enjoy while Irene is good for both. 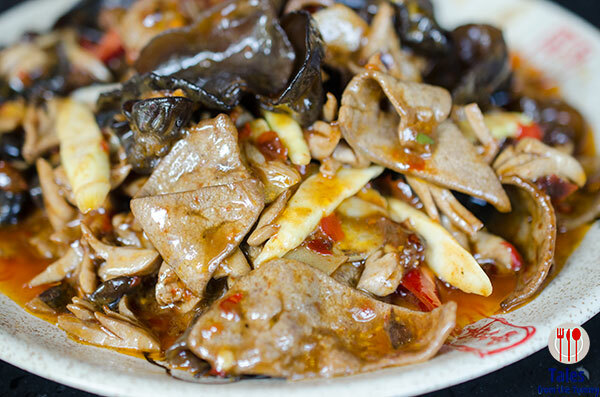 Liver slices, wood ears and kidney are stir fried in a salty and slightly spicy sauce. My only complaint was the kidney had been cut into small pieces necessitating a bit of effort to unearth them. Perfect with plain rice. Braised Duck with Beer (P720). We were a little too order happy so we also got this dish. Duck meat with potatoes and peppers braised with beer. I could not taste the beer but the overall dish was very good with a good amount of gamey flavor. Spiciness was ok but when we took it home and reheated it became much much more spicy. 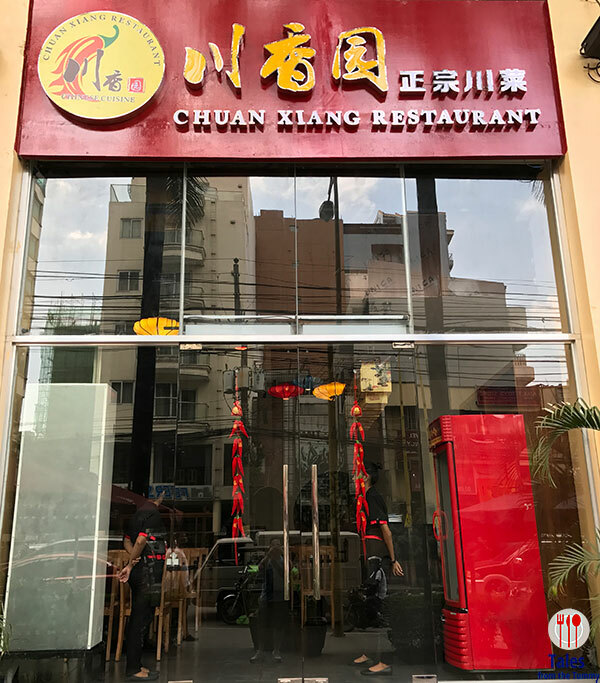 Irene and I are excited to go back and try more of the menu at Chuan Xiang. The flavors are great and really like what you get in China and the place is clean and prices are reasonable.